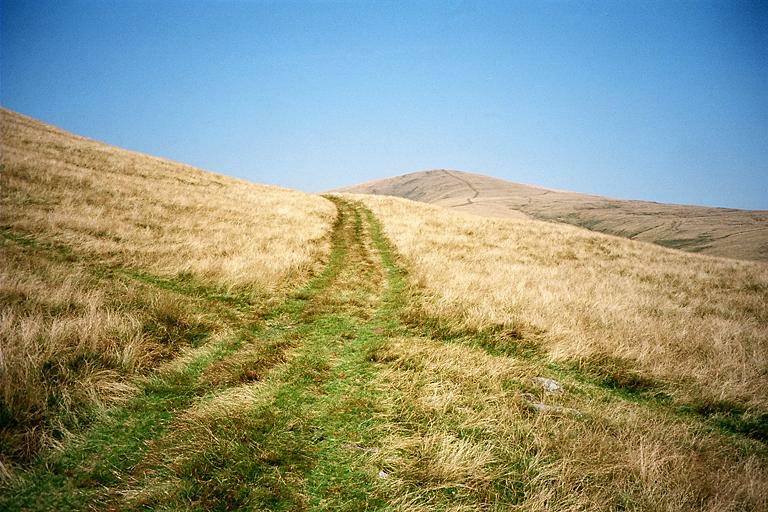 Having descended Winder via the path on the left we can see Arant Haw on the horizon. The path to Lockbank farm is behind the the viewer, that on the right descends to Settlebeck Gill. Smaller version of this picture.